The prices mentioned above are also listed on Pioneer's website. Lower prices maybe available elsewhere. For example, I found a brand new AVH-P8400BH for sale on eBay for $639. So if you're interested in one of these models, I'd suggest surfing around the web to find the lowest prices or maybe even checking out your local car stereo shop. 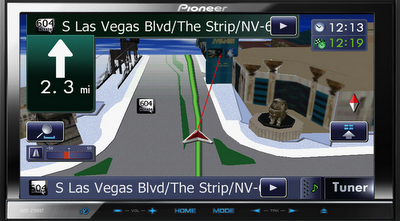 The 2012 GPS and DVD line of receivers mentioned above have gone on sale just this week. But where is AppRadio 2? Sources have mentioned that it's in the final Quality Check phase and will be released this coming week. We might just see the second generation device in the wild before this month ends. Well then you will see it in my car next week as well!